Accruing miles is one of the best ways to save money on your travels. The process might not always be fun, and probably won’t happen overnight, but if you make it a habit to try to earn miles for every purchase you make, you can end up redeeming them for a free trip in no time. There are tons of credit cards out there that offer travel rewards. I won’t go into all of them (you can check out sites like NerdWallet to check out some options), but I’m using the Barclaycard Arrival Plus™ World Elite MasterCard. It offers a 40,000 mile bonus if you spend $3,000 or more within the first 90 days of opening the account, and 2 miles per dollar for every dollar you spend on the card. You can redeem these miles for any travel purchase. That includes airfare, lodging, buses, rental cars, and even parking. I use this card for my every day purchases and monthly bills, so reaching the $3,000 in 90 days is not a stretch. I pay it in full at the end of each month; you don’t want to end up in debt trying to accrue miles! You can earn bonus miles by using their Rewards Boost portal, which provides links to your favorite online stores. By using those links instead of going directly to the site on your own, you can earn anywhere from 1-10 bonus miles per dollar, in addition to the default 2 miles per dollar. Miles can compound very quickly this way, without much effort. Keep in mind this method is not meant for you to just buy stuff for the sake of earning miles! You’ll very quickly end up blowing any money you saved. You should just use this card for purchases you were going to make anyway. In addition to all the miles you earn just by spending money you were going to spend anyway, its also worthy to note that they do not charge foreign transaction fees, so you can use your credit card while away on vacation. Frequent flyer programs go beyond just collecting miles for the flights you take with a specific airline. 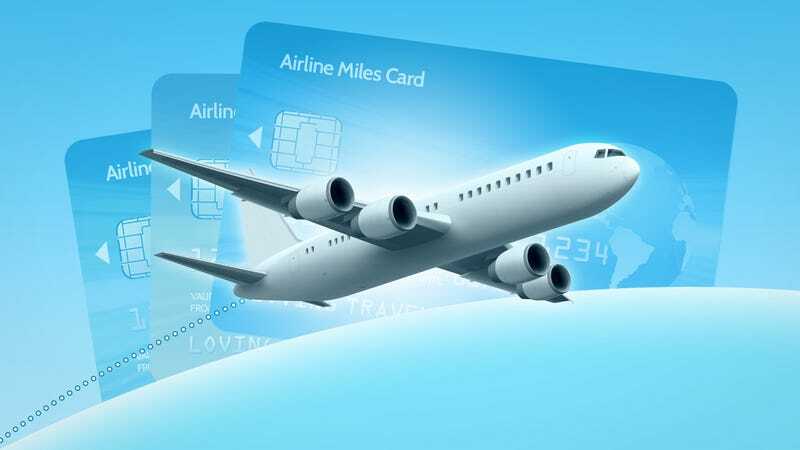 A lot of frequent flyer programs have shopping and dining programs that are free to use, and don’t require you to sign up for the airline’s credit card. For example, I signed up for American AAdvantage’s frequent flyer program, and also use their AAdvantage Dining and AAdvantage eShopping Mall programs to earn additional miles. Don’t expect to earn a ton of miles overnight, but if you use it consistently, you’ll find that you will be able to redeem these miles that you didn’t even have to do much work for on a rental car, hotel or flight somewhere amazing! While the benefits of a nice hotel or resort near the beach or city center are not lost on me (and I loooove a nice all inclusive resort), staying in a smaller boutique hotel a few blocks away from any major tourist attraction is much cheaper than staying at a resort on the main strip or beach. Better yet, using a site such as Airbnb or HomeAway could drastically slash your lodging costs. These sites are becoming more and more popular, and odds are you could probably get a luxury villa or apartment for a fraction of the cost of a nice hotel. As a bonus, you get a better feel for the local food and culture when you stay off the main tourist drag. Unless you’re taking public transportation. I can only speak for myself, but I know most of the time when I travel, the average taxi ride will cost at least $15 each way. If you’re a person that likes to explore while you’re on vacation, transportation can easily cost you over $200 during your stay. Renting a car, especially while abroad, is much cheaper. You can get your own car for $20 a day or less! Renting a car can be much more economical than taking a taxi, and provides a lot more flexibility. You can drive for hours and explore without worrying about paying a driver to wait, or rushing back to catch the last bus back into town if you chose to take public transportation. Baggage fees are crazy these days! Especially when flying with budget airlines like Frontier or Spirit. With baggage fees costing $30 each way, you’ll easily pay an extra $60 or more on your trip if you don’t pack efficiently. Take a carry on, or pack all your things in a “personal item”, such as your purse or overnight bag. It can save a significant amount of cash on your trip. Look at this video or this post to learn how to pack your carry on more efficiently. When planning your getaway, try to go to your destination during their off peak season. For example, trying to go to the caribbean during their peak season, which is December – May, will be more expensive (and more crowded) than going during the off peak season. Depending on the type of vacation you want, it may be cheaper overall to book your flight and hotel as a package on Expedia, Travelocity or Orbitz. CheapCaribbean is also a good option for beach getaways. These companies buy flights from airlines in bulk, so they are able to offer you a cheaper overall price by buying your air and hotel as a package instead of buying them separately. If you know you want a resort experience, booking your travel as a package would be a good option. Use apps like Hopper to predict when to buy your plane ticket. Hopper analyzes billions of flights to help you find the best deals and the best times to fly and buy. You can also set alerts on sites like Hipmunk or Airfarewatchdog, and receive emails when the price of the flight you want fluctuates. Don’t pay for parking at the airport. Its WAY too expensive. I reserve a parking space at a hotel near the airport via Globalairportparking.com, and take their free airport shuttle. It does add an extra 15 minutes or so to your airport commute, but when you’re paying $5/day instead of $15-$20/day at the airport, I think its worth it. Planning right, and spending less will lower the obstacle that separates you and the culture you’ve traveled so far to explore and experience new culture, cuisines, etc. These are some great tips! I love to travel, but money is always an issue, so these will be useful! Traveling more in the future is a big goal for me and my family. These are good tips. Traveling to Europe fast and cheap transportation options are especially the proliferation of discount airlines such as Ryanair and EasyJet—have changed the way budget travelers can see Europe.